HALIFAX, Nova Scotia: Wednesday, Apr 11th, 2007- - For the past two centuries, the tunnels of Nova Scotia’s Oak Island have piqued the imagination of historians and treasure hunters alike. Now, a new theory by First Nations researcher Keith Ranville may add fresh speculation to the mystery. Based on a unique reading of an inscription once found in the “Money Pit,” Mr. Ranville believes that the answer to the riddle may be found on nearby Birch Island. Oak Island, located on the scenic Mahone Bay about an hour’s drive south of the provincial capital of Halifax, has been associated with buried treasure since the late 18th century. Local settlers reportedly found a ship’s tackle block hanging from a tree branch, overhanging a large depression in the ground. Early efforts to dig down failed when the diggers encountered layers of timber every 10 feet. In the ensuing generations, several organized excavation attempts have drilled down nearly 200 feet, en route encountering some artifacts within the staggered layers of logs, clay, putty, charcoal, flagstones and most perplexingly, coconut husks. Among the scores of enthusiastic treasure hunters was a young Franklin Roosevelt, one of the investors in a 1909 excavation attempt. During the earlier diggings of 1800’s, the tunnel had become flooded by seawater – which many believed was the result booby trap being sprung – thus complicating further digging since then. A drilling effort in the mid 1800’s was said to have uncovered fragments of a gold chain. In 1971, a camera was lowered into the pit and reportedly captured images of wooden chests and human remains. 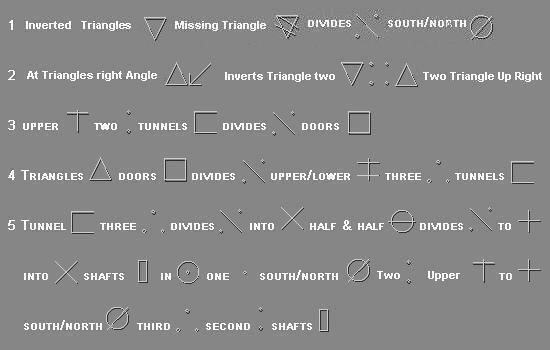 However, Keith Ranville’s theory offers a different interpretation as to the stone’s symbols, which could lead to a new explanation of the Oak Island mystery. “I believe these symbols have been incorrectly assumed to stand for something else. In the First Nations tradition that I’m a part of, we believe symbols should simply be looked at in and of themselves, rather than thinking of them as codes that have to be cracked,” Mr. Ranville explained. 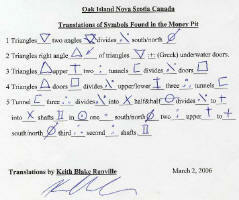 “In the pictograms of Cree Salavics, for example, the images are meant to be descriptive, not abstract.” Using this approach, Mr. Ranville examined the Oak Island symbols and found what may be a set of instructions about a tunnel system involving both Oak Island and nearby Birch Island. For example, the stone inscription begins with a triangle symbol, which is repeated throughout. 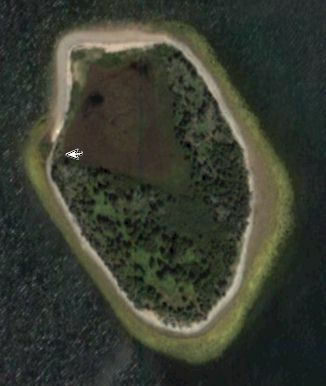 Mr. Ranville believes that this represents nearby Birch Island, which has a distinctly triangular clearing on its north shore. Likewise, a symbol showing a circle divided into two hemispheres can be thought of as representing north/south directional markers. A series of dots in singles, pairs and triplets may be quantitative symbols. 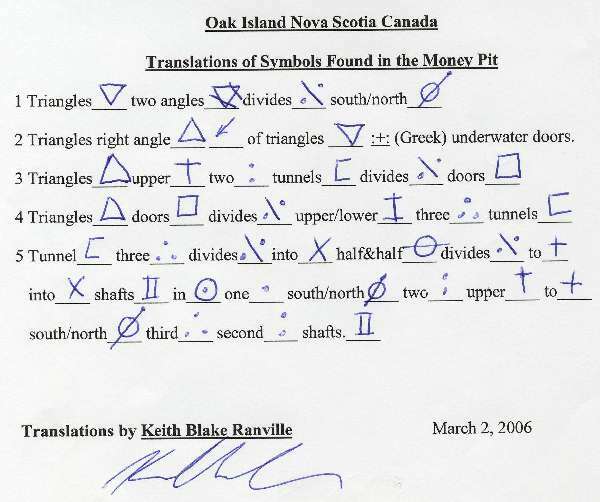 Examining all the symbols in this way, Mr. Ranville believes that the symbols on the Money Pit’s stone tablet are actually technical instructions describing the location and layout of a possible underground network involving both Oak Island and Birch Island. 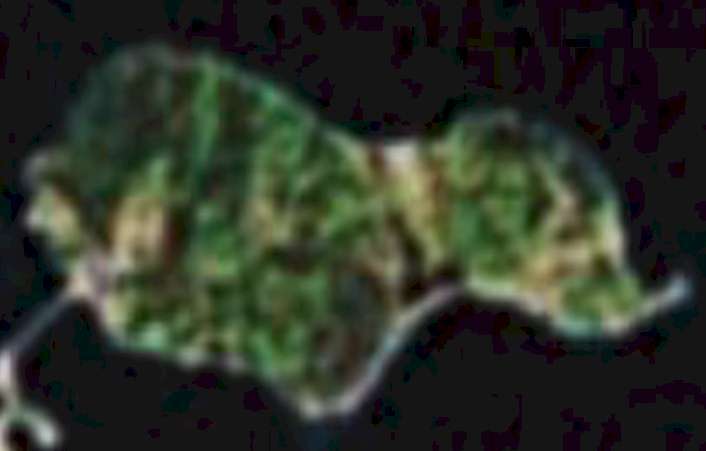 Smith’s Cove is on the part of Oak Island that is closest to Birch Island, and is said to have yielded several artifacts itself over the years. Mr. Ranville is a self-taught researcher born in Manitoba. While living in Vancouver, he became acquainted with the Oak Island mystery and began studying it. Both Oak Island and Birch Island are private property, and access must be sought by permission of the landowners.